Much of the inspiration for Jindra’s work comes from the local environment. She frequently works outside, in a location, and enjoys the energy that this brings to the work. 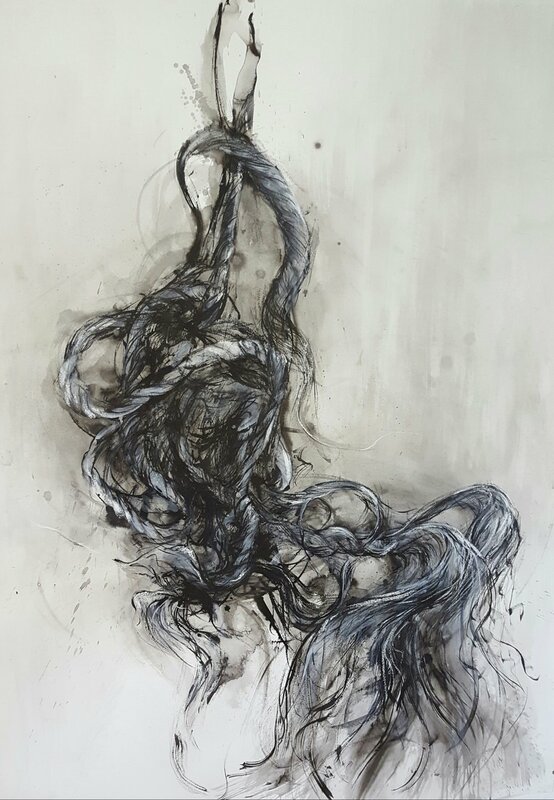 Jindra predominantly uses inks and water-based media and employs found objects (such as feathers, gorse, sea weed and sticks) as paintbrushes to create marks that further connect the piece to a place. She also makes collections of found objects and uses them to develop work in the studio. Over the past few years much of her work has focused on flotsam and jetsam, which derives from her interest in ecology, sea pollution and ocean plastics. Jindra regularly exhibits her work in the South West and further afield, recently her work was shown at a cultural exposition in Ningbo, China. She has work in private collections in Europe and Australia and New Zealand. Jindra is an experienced teacher and continues to teach part time alongside her own practice.